Justin Chun was a physical therapist assistant before working at The Pig and The Lady. He learned a lot working at the Rehabilitation Hospital of the Pacific but the one important lesson he learned was to see the patient as a person and the person comes first. This one lesson is why he's the general manager of Piggy Smalls. 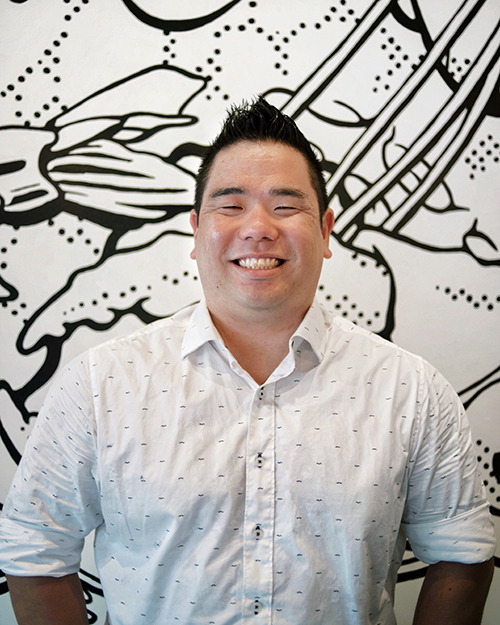 Born and raised in Mililani, Justin is a foodie at heart. He and his friends would try to get a seat at our popular pop-up dinners back in the day but never could. So when he heard that we were going to be a brick and mortar restaurant, Justin applied and got hired as a server assistant. He soon got promoted as a server for our dinner service and our management team saw his potential to be the general manager at Piggy Smalls. Justin has a passion for food and understands the importance of putting the customer first. kelsey takara - pastry sous chef.